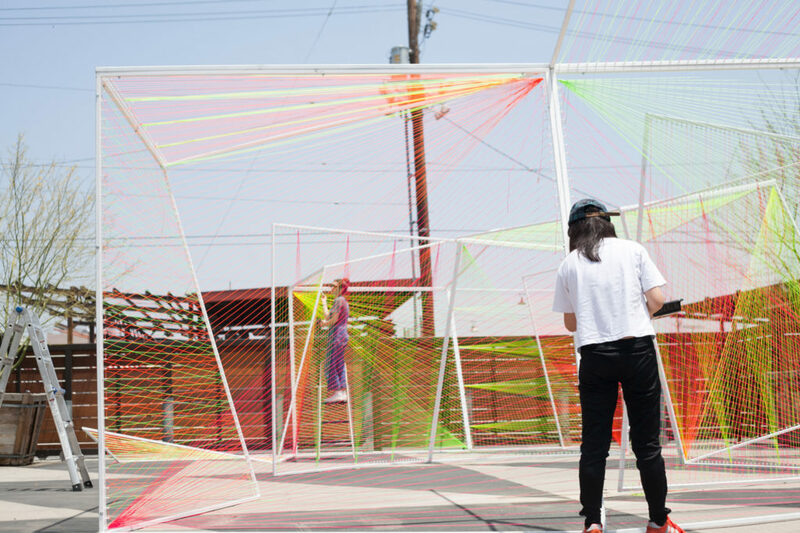 As part of the Los Angeles Design Festival (LADF), Assembledge+ has just completed a large-scale art installation, titled [in]tension, at City Market South, a historic produce market newly transformed into creative mixed-use located in the heart of DTLA’s Fashion District. [In]Tension will be open to the public for viewing throughout the duration of the festival from June 6 – June 11, and will remain on site until June 24th. Thank you to Los Angeles Design Festival, We Are Secret Agent, and Lena Group for letting the Assembledge+ team create magic. Click here for more pics during LADF’s Opening Night Kick-Off Party.